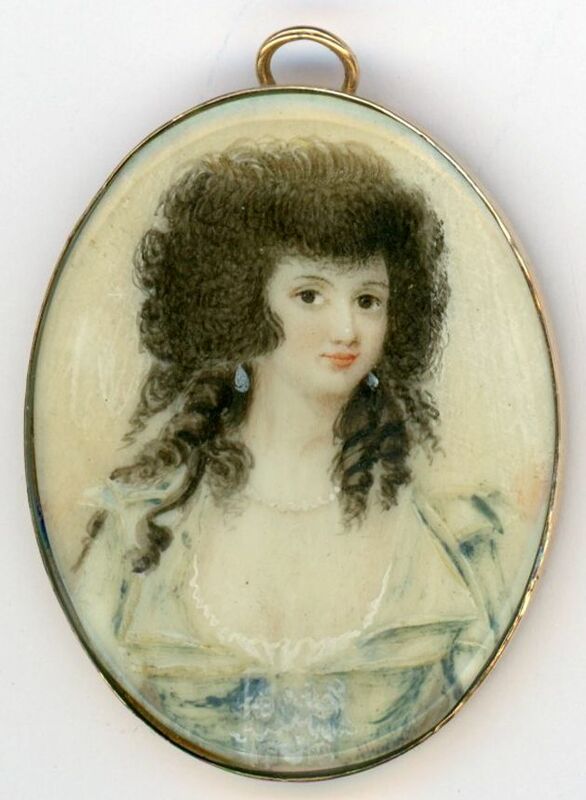 This coming of age miniature portrait shows a delicately featured young Georgian lady dressed for the evening’s entertainment in a cream and blue dress edged with lace teamed with a pearl necklace and blue drop earrings. 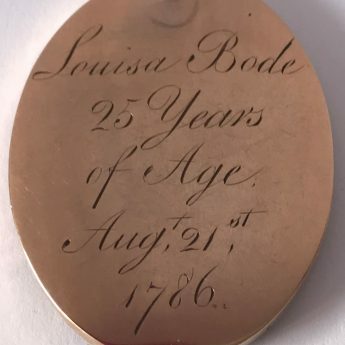 Her unpowdered hair has been curled and piled high with ringlets falling over her shoulders. 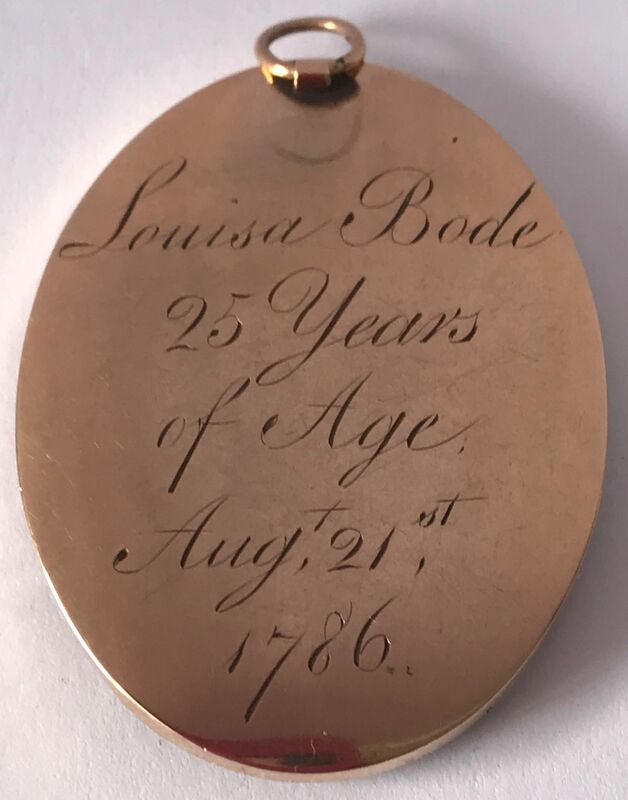 The portrait is set in the original gold frame that is engraved on the reverse: ‘Louisa Bode / 25 Years / of Age / Augt 21st / 1786’.